As we shared with you a few weeks ago, this year’s Philadelphia Flower Show is quickly approaching! To be held from Sunday, March 4 through Sunday, March 11, the annual event will once again bring together some of the finest garden talents in all of the world. In fact, since Marvin Gardens will also be one of the exhibitors in attendance, we encourage all of our readers to do the same! Here are four of our favorite reasons we think you should attend the Philadelphia International Flower Show. This show is dedicated to showcasing the finest talent in today’s garden design. Creative designers worldwide who have spent decades perfecting their work will be on hand to showoff their skill! The Garden Show isn’t just a daytime event. Be sure to keep up with information about the Flower Show Preview Party, Wedding Wednesday, Girls’ Night, and other evening events. During the daytime events at the show, you’ll find activities for everyone. There will be culinary demonstrations, wine tasting, a Garden Tea, and garden lectures. To learn more about what we have been up to at Marvin Gardens, just subscribe to our blog by entering your email address on our blog home page! 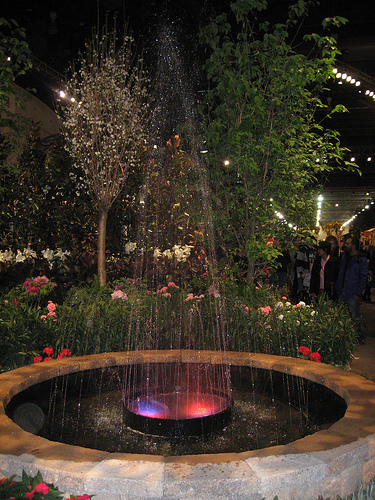 Each year, we find that the Philadelphia International Flower Show gives us an extra boost of enthusiasm for the approaching spring season. Next Next post: Delighted to Become a Part of Hiden Galleries!